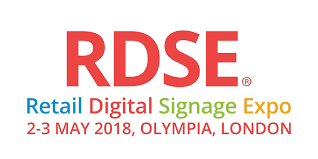 We’re delighted to announce that we will be exhibiting at RDSE 2018 on May the 2nd & 3rd at Olympia in London. RDSE (Retail Digital Signage Expo) is Europe’s only retail digital signage event and part of RBTE (Retail Business Technology Expo). RBTE attracts movers and shakers from across the globe, all hungry for ideas, information, and products and solutions to help them run their retail organisations even more effectively. 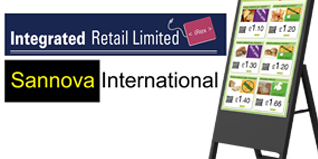 This year we are teaming up with Sannova International and featuring our integration with their fantastic digital signage screens. Come and find us at stand B41 to find out more. Look forward to seeing you there!